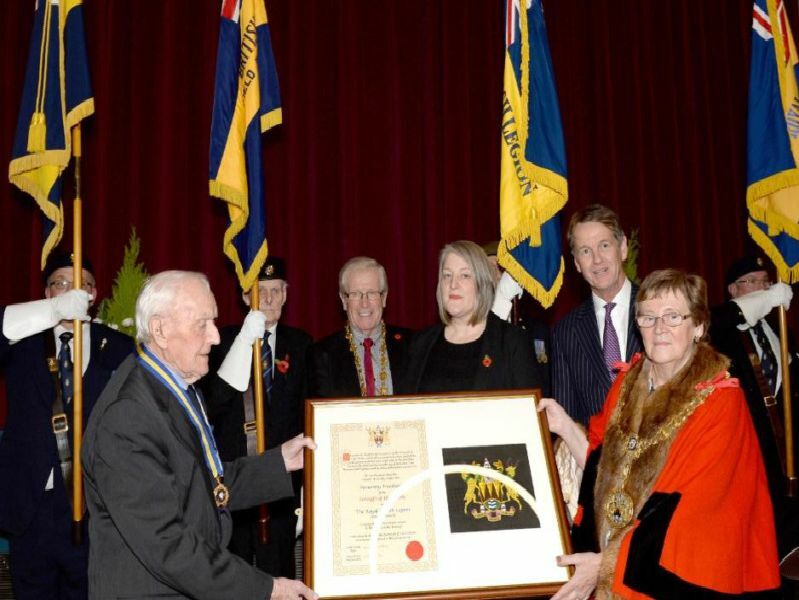 Six High Peak branches of the Royal British Legion were awarded the Freedom of the Borough at a special ceremony held during Remembrance week. Special commemorative scrolls were presented to the Bamford, Buxton, Chapel-en-le-Frith, Glossop, Hayfield and Whaley Bridge branches at the Octagon Hall in Buxton during a special meeting of High Peak Borough Council. Click here to read the full story. A scroll is presented to the Buxton branch. A scroll is presented to the Glossop branch. The Hayfield branch receives a special scroll.